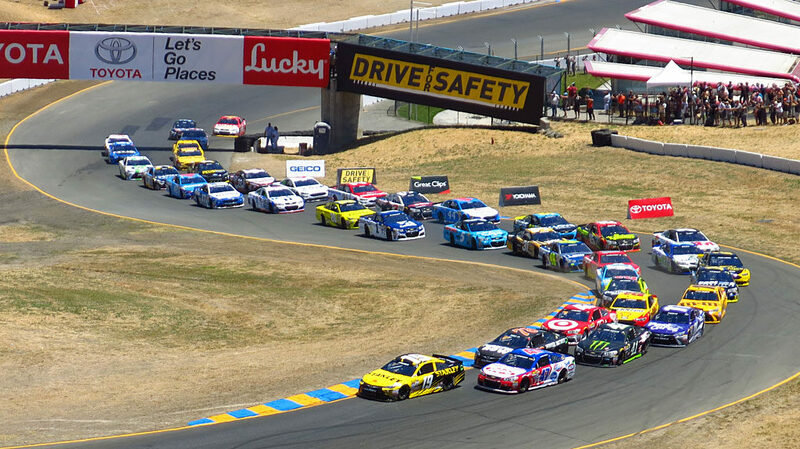 The Sonoma Raceway, a.k.a. Sears Point Raceway a.k.a. 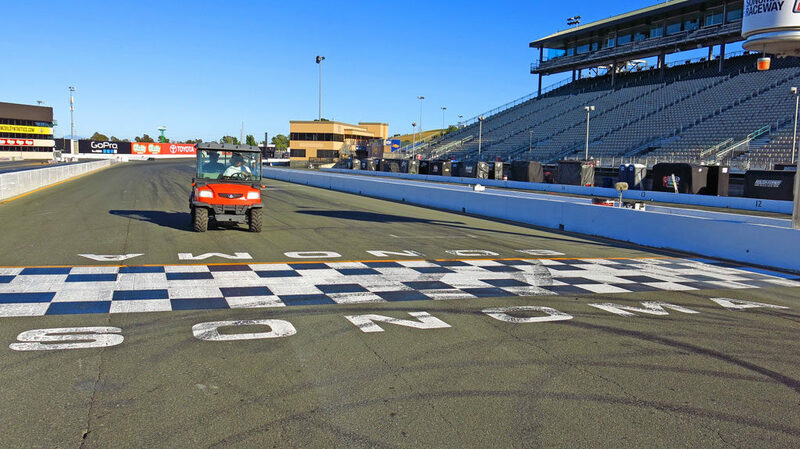 Infineon Raceway, played host to the 2016 NASCAR Toyota/Save Mart 350. 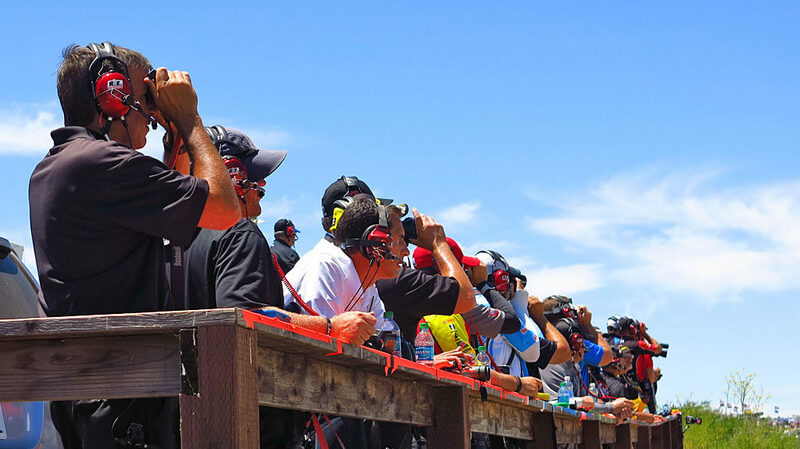 Since Fox Sports Network and an army of pro photographers take great action photos, this is merely a collection of alternate views of the raceway. Hot track-aside, we had pretty much unlimited access to the facility. 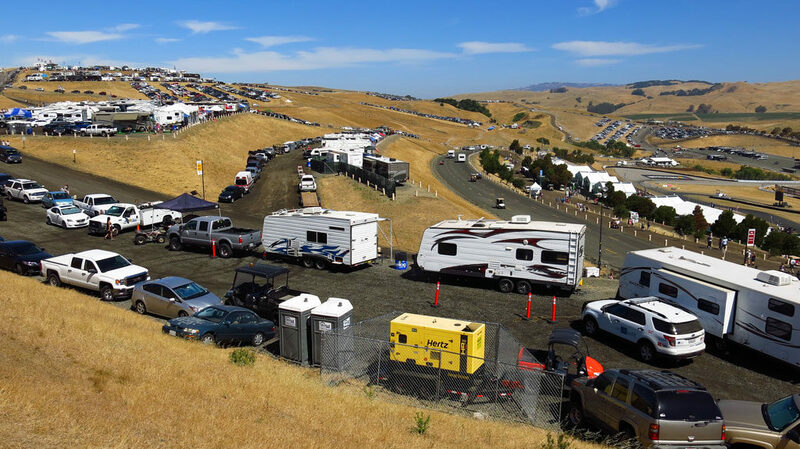 The main grandstands at Sonoma; Pit Row is in the foreground. 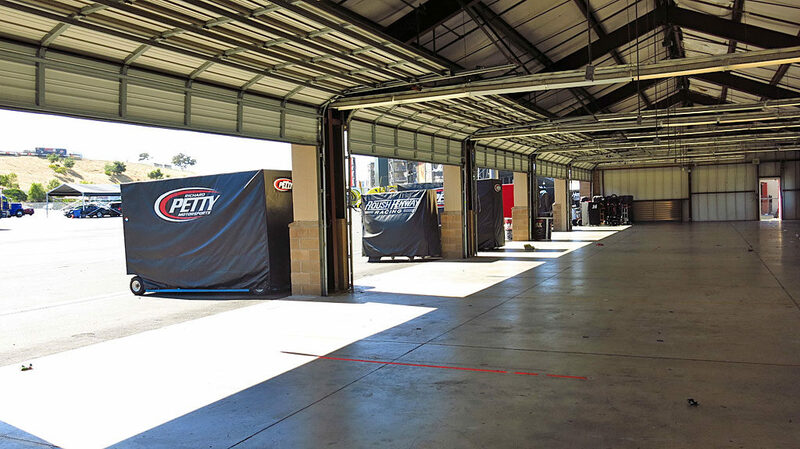 The calm before the storm inside the garages at Sonoma. Steve and I got the tour of the track by Jai in his Kubota. The NASCAR Sprint Cup guys were running the 1.99-mile lap in under two minutes, our time was slightly longer. 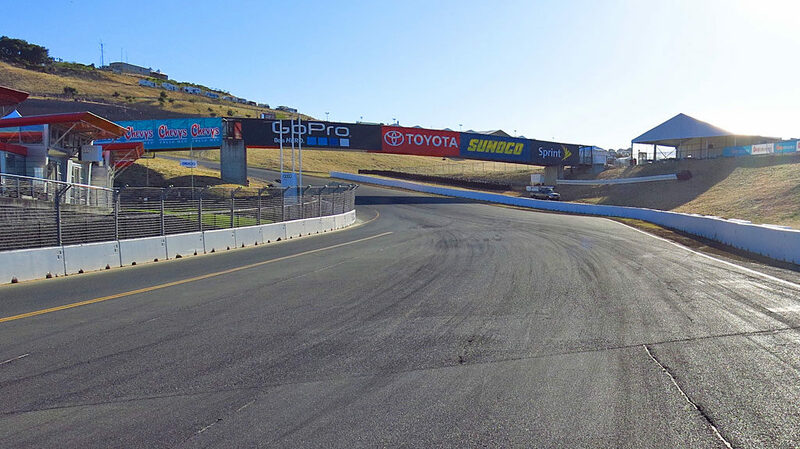 Looking at Turn 1, then left up an S-curve on a steep hill, to a blind, right-hand Turn 2. 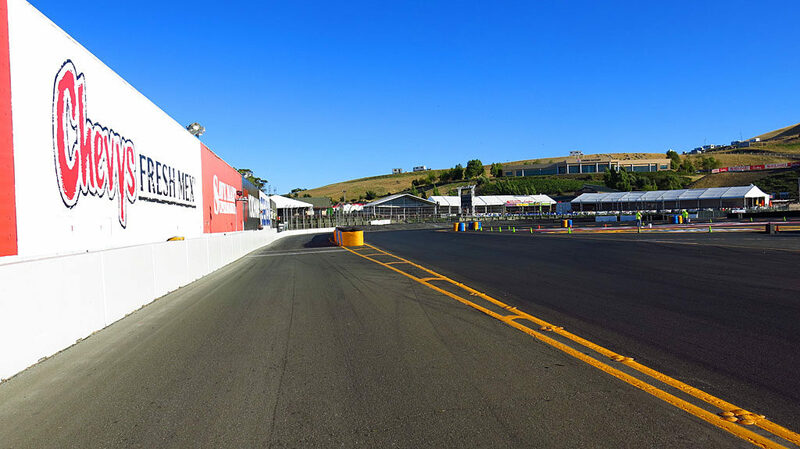 The entry to Pit Row is on the left; the Turn 11 hairpin is coming up on the right. The night before the main event, track workers touched-up paint on the infield signs. 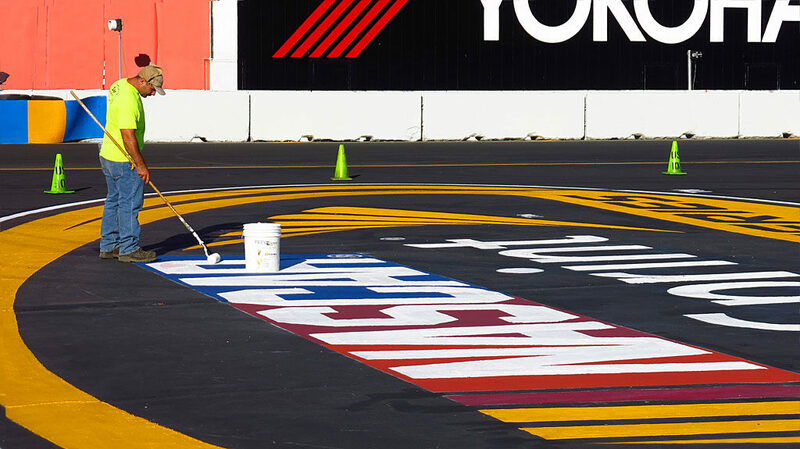 The rumble strips near the turns were covered with black tire marks from the day’s practice, so they were getting their own fresh paint. Sunday morning at 6 crowds start to arrive; before the main event at noon, hilltops will be covered with parked cars and RVs. The hot tip was to take the special train between Sacramento and the raceway and avoid traffic all-together. 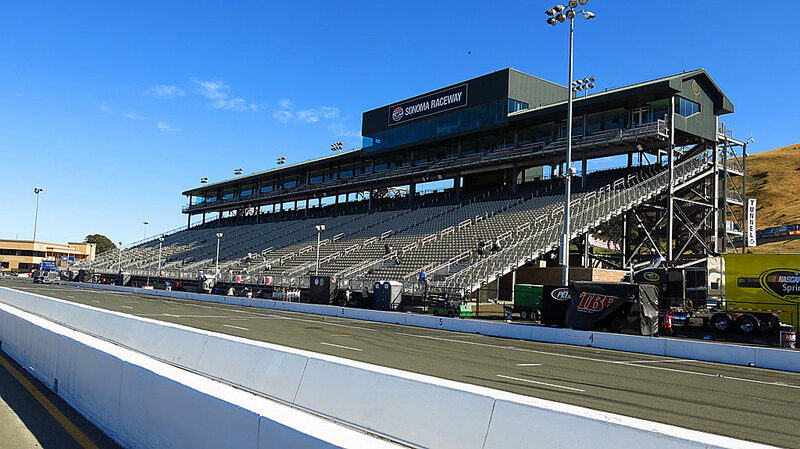 The $199 round-trip ticket also includes use of the VIP Entrance, a seat in the main grandstands, and admission to track-side events. And a designated driver. Where the spotters do their thing during the race. Just after the green flag dropped, racers climb the S-curve at Turn 2. 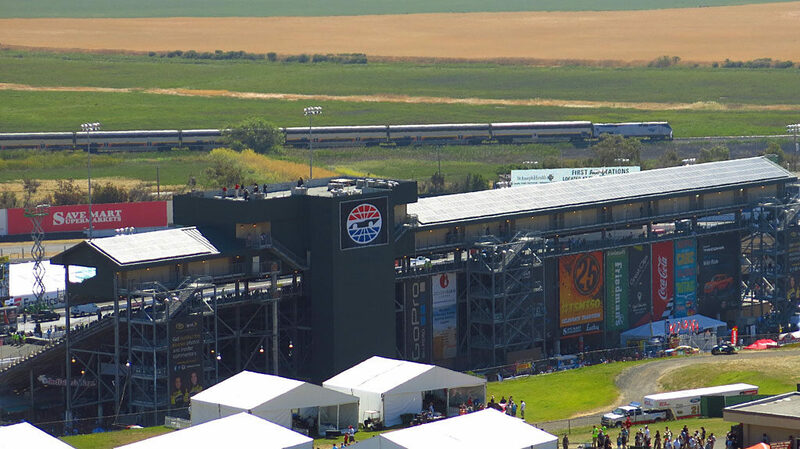 We watched the Toyota/Save Mart 350 next to the spotters on the hill above Turn 2. From there, we had an excellent view of 80% of the track. The race is over, no more fun. Please move along.